Everyone is now grasping the importance of Social Media and how it helps business. Makes interesting read. The owners of a hotel in Denver, Colorado, are spending big on a dinosaur-themed renovation, and the social media exposure they hope will make their property a hit. A few miles away from Greg and Meredith Tally's Best Western Denver Southwest hotel lies Dinosaur Ridge, an outcrop of rocks that contains the remains of the giant dinosaurs that once called this corner of the US home. The Tallys thinks Dinosaur Ridge is an important part of American history - and a potential tourist hotspot in the making. To that end, their hotel is currently undergoing a $3.25m (£2.2m) renovation to become half hotel, half natural history museum. To promote the new venture, Mr Tally is doing what many small business owners do to drum up business - turning to social media. Social media is often billed as a low-cost method of business marketing. After all, platforms such as Facebook, Twitter and Tumblr are free to use and do not require sophisticated online savvy. But Mr Tally took a different approach, spending $35,000 on a personalised cartoon, drawn and hosted by Seattle-based cartoonist Matt Inman, whose The Oatmeal website garners seven million unique viewers a month. Mr Inman was hosting a contest to raise money for his pet project, a museum devoted to electricity pioneer Nikola Tesla, and offered the prize to anyone who donated $33,000 or more. In spending such a large sum - enough to hire a social media consultant for a year - Mr Tally was taking a bet that courting The Oatmeal would introduce his project to people around the globe with the same intense interest in science that he sought in potential customers. "One of the reasons we invested in social media so heavily is it's a chance to really bond with the public," says Mr Tally. "If you look at it as sheer numbers or a number game you're missing out. "It's really about building an affinity or building an affection in people who will go out and be your ambassadors." 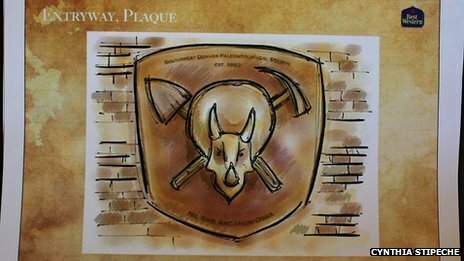 Matt Inman's cartoon detailed the Denver area's palaeontological history and the story of the Bone Wars - an intense competition between amateur palaeontologists in the 1800s. 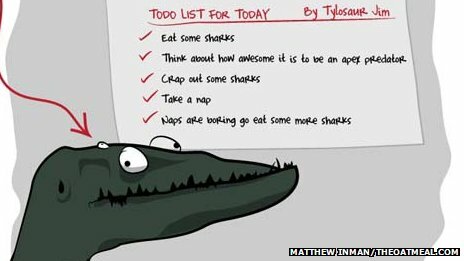 Readers were asked to follow Mr Tally on Twitter and Facebook, where he and his wife Meredith populate each platform with unique dinosaur-related content every day. Mr Tally says: "The moment the cartoon hit it was like Charlie and the Chocolate Factory. We opened the Wonka chocolate bar and there was the golden ticket - the numbers began to pour in and continues to pour in." The investment yielded more than 70,000 Facebook fans and 8,000 Twitter followers globally. Social media expert Jeremy Goldman, author of a book called Going Social, says that targeting social media followers makes sense depending on the business. 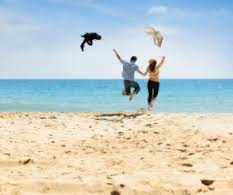 "Ten thousand of the right clients can be more useful than a million random clients," he says, as long as each client or follower provides a bigger rate of return. A stay in a hotel room, for instance, will have bigger margins than if you are selling a $1 cola. The soft drinks company would need millions of followers; the hotel can afford to keep its base small and select. In an effort to further build their online following, the Tallys put their mouth where their money is. 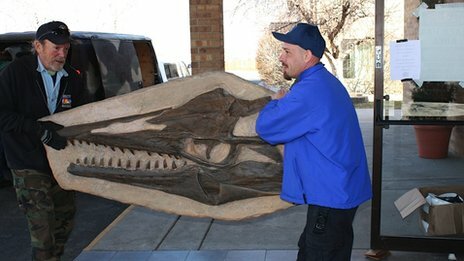 Workers carry the head of a tylosaur relief into the hotel. Mr Tally has dubbed the dinosaur Sophie. After the cartoon ran, they hosted a 12-hour long "Ask Me Anything" (AMA) on Reddit, the social sharing website. The AMA was an ideal place to court science-minded clients, and show off the Tally's quirky online presence. Mr Tally's opening included this line: "We do want to squash the pernicious rumours that we are using the hotel to fund a secret underground dinosaur cloning lab." That distinct voice makes businesses more attractive to customers, says Kathleen Shannon, co-founder of the marketing and branding firm Braid Creative. "Having a personality online helps you build trust and camaraderie with dream clients - you're not just a gun for hire." She compares it to old-fashioned networking through church or school groups, only now on a global scale. "People want to do business with companies they feel like they know and like," she says. The hotel is still open during renovations, but it won't resemble the promised palaeo-paradise until at least June. The challenge now is to keep online followers interested. "You don't want to hit people over the head with the coolness of what you're doing too soon," says Mr Goldman. An artist's rendering of the dinosaur coat of arms that will hang in the hotel lobby. People like stories on social media, he says. "Tell a story, continue to tell the story, don't take the followers that you have for granted," he says. Greg and Meredith Tally hope that is the approach they are taking. They pepper all their social media platforms with dinosaur cartoons, jokes and facts, as well as updates about the hotel. So far, bookings are slightly up. But on a sunny day, some of the hotel's online fans became real-life admirers. David Martinez, who lives near the hotel, pulled his boys out of school to watch Tally and his staff unpack the 40-foot tylosaur skeleton that will hang over the hotel's restaurant. The Martinezes found out about the hotel through Facebook, he says, and they have been following the progress online ever since. "We would like to have the birthday party for one, if not both, of the boys here, so we're anxiously awaiting the opening," says Mr Martinez. Then father joined his sons. All three of them were eager to see a dinosaur up close.